An essential item in any soldier's or cadet's kit. 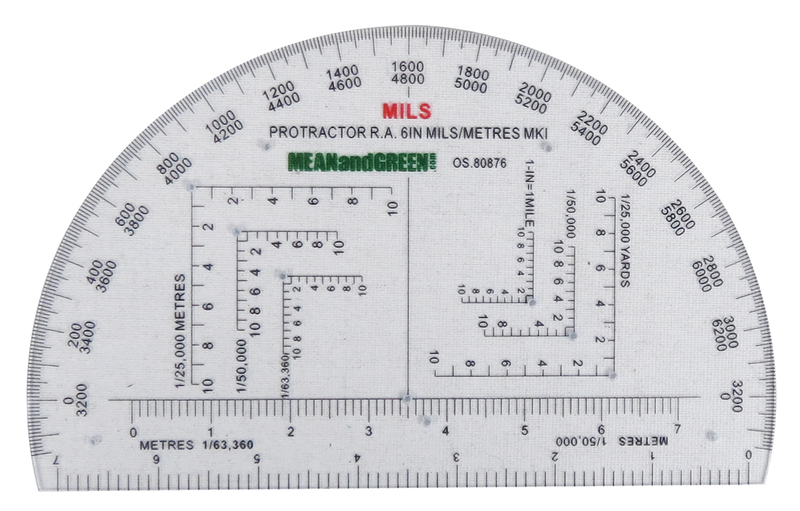 This protractor is clearly marked with mils measurements and romer markings for plotting bearings. The batteries might die in your GPS but this protractor will always function! Q: Is the RA protractor a hard or a soft/flexible plastic? A: It is a hard rigid plastic.